Linguine al frutti di mare from Antico Forno. Rigatoni with Italian sausage and sweet onions from Antico Forno. We know, we know: The North End is packed with delicious places to twirl pasta and sip wine. The biggest challenge when visiting — besides finding parking — is deciding where to feast. Luckily, you have this list, where you’ll find elegant hideaways, noisy trattorias, and (of course) an abundance of incredible pizza. With brick walls, soft lighting, and a roaring oven, this rustic neighborhood staple on Salem Street has sweet service (our server talked superheroes with a 5-year-old guest) and sweeter prices, with big portions to boot. Almost anything finished in that signature wood-burning brick oven is a hit, including crackly Neapolitan pizzas with homemade mozzarella and a husky osso buco with carrots and celery, the ideal antidote to a dreary winter. 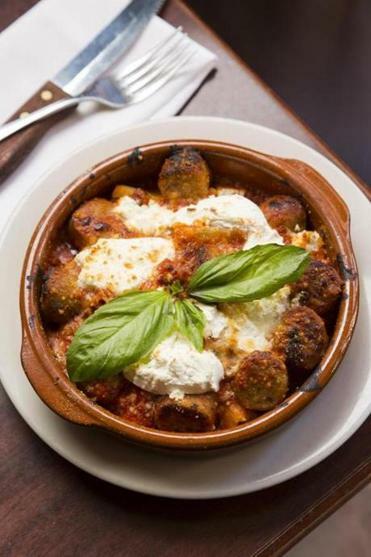 Make Sure to Try: The homemade rigatoni with Italian sausage and sweet onions, topped with ricotta cheese and blasted in the oven. A hearty $13 lunch portion will leave you plenty for dinner. Ask a North End resident what his or her restaurant of choice is, and many will name Artu, going on 25 years in the neighborhood (also with a Beacon Hill location). For lunch, you’re likely to find nearby shop owners catching up over eggplant Parmesan or panini; at dinner, familiar faces relax over simple grilled meats and veggies. It’s set off ever so slightly from the Hanover Street fray, so it doesn’t have quite the same hectic tourist vibe, but locals — who often pop in for takeout, too — seem to prefer it that way. Make Sure to Try: Lamb chops with roasted potatoes and garlicky spinach. Dig into rich house-made pastas (pappardelle in wild boar ragu, veal-stuffed agnolotti in truffle cream) and pizza served until 1:45 a.m. on Fridays and Saturdays at this busy Hanover Street spot from neighborhood restaurateur Frank DePasquale. In balmy weather, windows open onto the street; you’ll (almost) feel like you’re on the Mediterranean. 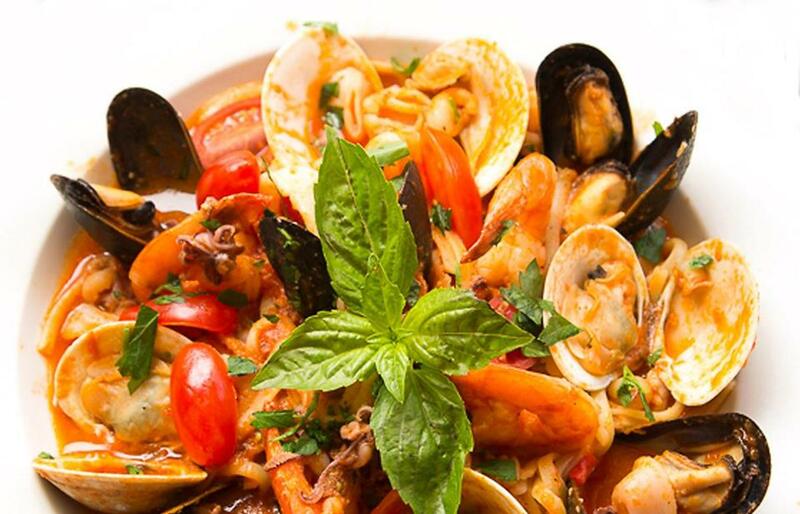 Make Sure to Try: Bricco’s Brodetto, a heaping kettle of calamari, clams, lobster, monkfish, shrimp, swordfish, and other oceanic delights. 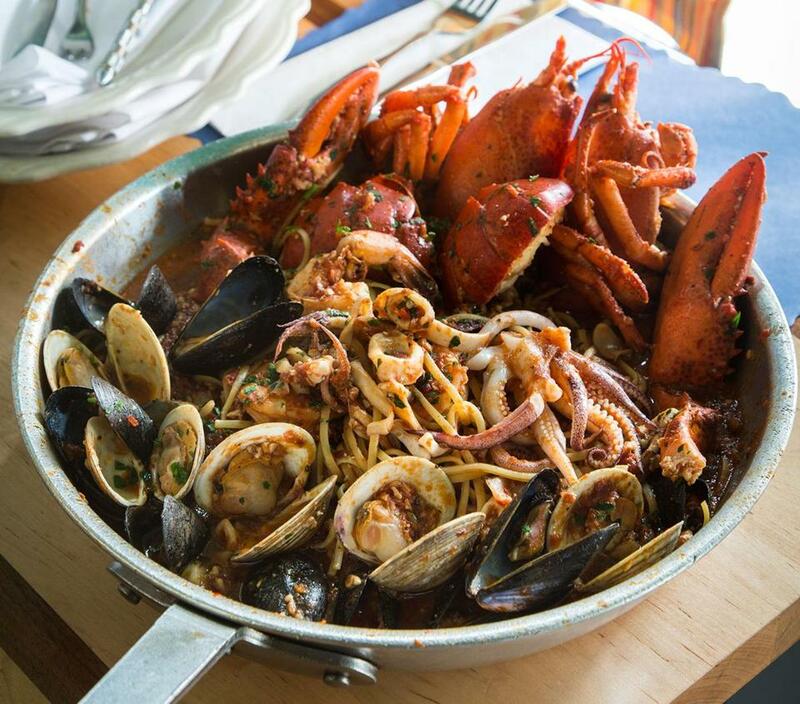 The Daily Catch’s lobster fra diavolo. Don’t let the humble exterior or consistently massive lines deter you. This teensy place is a treasure. Order your choice of seafood and pasta (perfectly toothsome homemade squid ink is the way to go) from a massive chalkboard menu, then watch cooks sizzle it up before your eyes with lots of fiery flash. Bring cash, and plenty of it. There are other branches in Brookline and the Seaport, but this one’s the liveliest. Make Sure to Try: The lobster fra diavolo is garlicky, spicy, fresh, and — at $69 — built for sharing. A slice from Galleria Umberto. Craving a lunchtime slice? Stroll to this counter for a rectangle of Sicilian pizza, with perfectly blistery, bubbly cheese and soft, chewy dough, served on an oil-drenched paper plate. There are also hubcap-size arancini and calzones; pair one of them with a can of soda and enjoy the ideal midday meal for about $5 (there’s also wine and beer, if your boss won’t mind). But be warned: When supplies run out, they close up shop, so get there early. 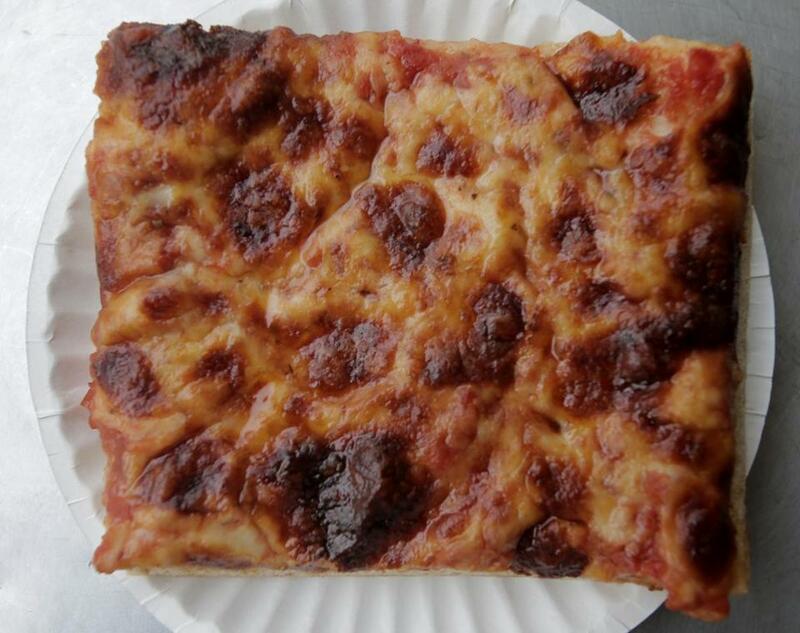 Make Sure to Try: A plain old Sicilian slice. Some muss, no fuss. No flash and no frills at this cheery spot with flowers in the window boxes, just simple servings of garlicky red-sauce dishes at fair prices. Go at lunch, when you’ll find garrulous Government Center employees tucking into massive portions of pasta. Things get noisier at dinner, but service is warm and efficient, no matter what time of the day you’re there. Make Sure to Try: The simple linguine with clams, which is a midday steal at just $9. This neighborhood classic with brick walls and murals on the ceiling celebrates its 40th birthday this year — no small feat in the restaurant world. It’s helmed by the Frattaroli family, natives of Abruzzo, Italy, known for other North End institutions like Artu and Filippo. You’ll find all the classics here, from colorful tricolore pasta for two with cream, tomato, and pesto sauce to a truly gluttonous fettuccine Alfredo. There are even gluten-free options. Make Sure to Try: Old-timers order the carrozzella, breaded bone-in veal slathered in mozzarella and white wine sauce, topped with fried sage. At the North End’s preeminent special-occasion destination — with special-occasion prices to match — local ingredients anchor the regional Italian menu: the bistecca strip steak made as the Florentines do, braised rabbit with pappardelle in the style of the Tuscans, a meaty Bolognese as its prepared by the — well, you get the idea. The cozy dining rooms are in romantic golds and reds; the service is extraordinary. Make Sure to Try: The menu changes daily, but the veal osso buco over saffron risotto is happily always available. Zuppa di mare from Mare. This seafood bar is a bit sleeker and buzzier than other North End spots, the kind of place where you can order oysters on the half shell and a glass of wine on a first date. 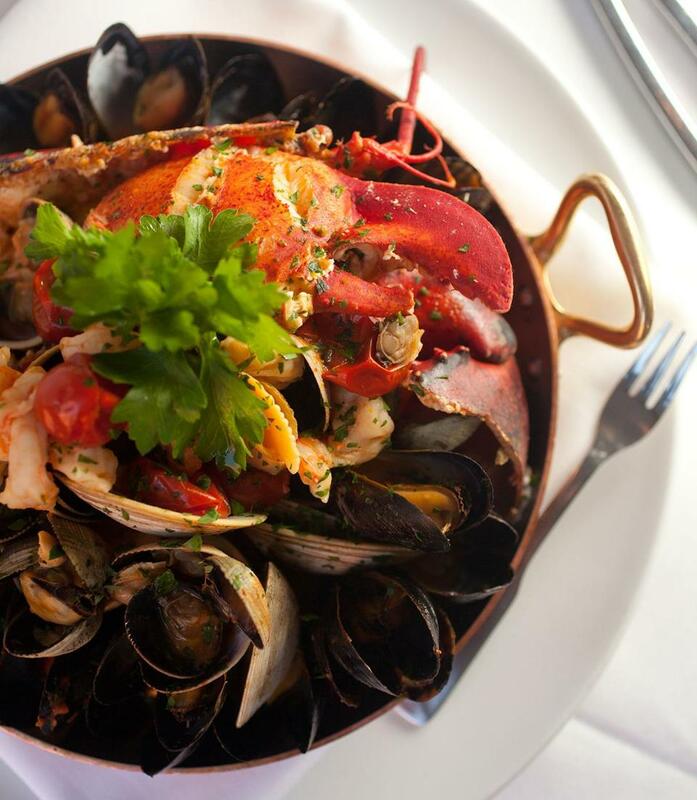 For a heartier meal, fans recommend anything with lobster, like the zuppa di mare. Make Sure to Try: Everyone raves about the tagliatelle con aragosta — homemade pasta with fresh lobster, graced with shaved black truffles. A plate of oysters from Neptune Oyster. 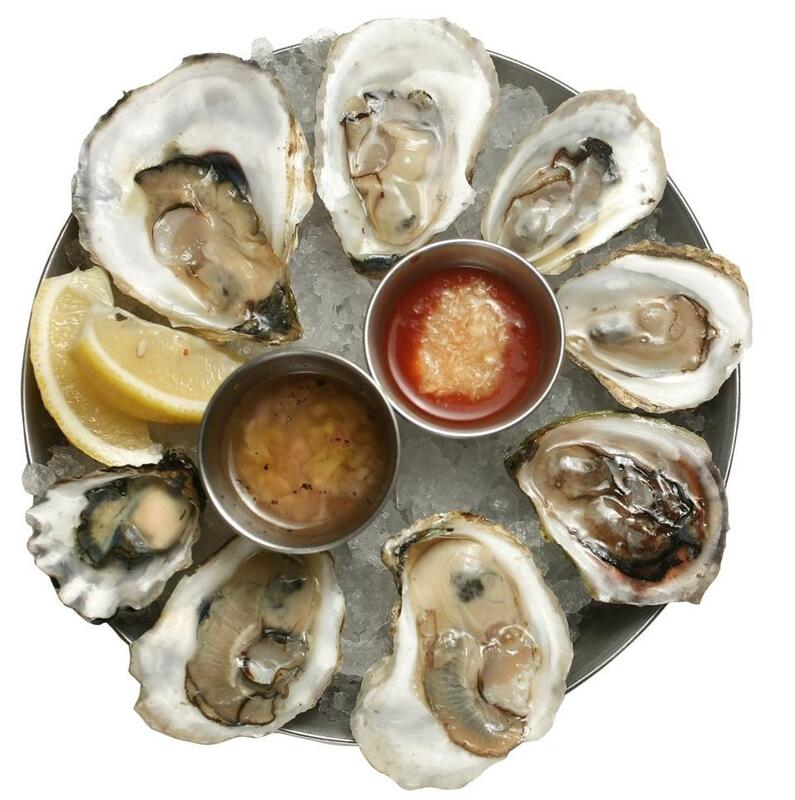 This cacophonous oyster bar packs ’em in like sardines. Why? It’s the best place in the neighborhood — or in the city, period — for meaty bivalves, crudo, and lobster rolls (served with butter or mayo; pick your pleasure). If you’re stuck waiting in line, send someone in your party up the block to Ernesto’s for a slice while you stand on the sidewalk. Make Sure to Try: The surprise hit is the johnnycake, topped with a mountain of Boston smoked trout and sturgeon caviar, a gloriously indulgent appetizer worth the wait. 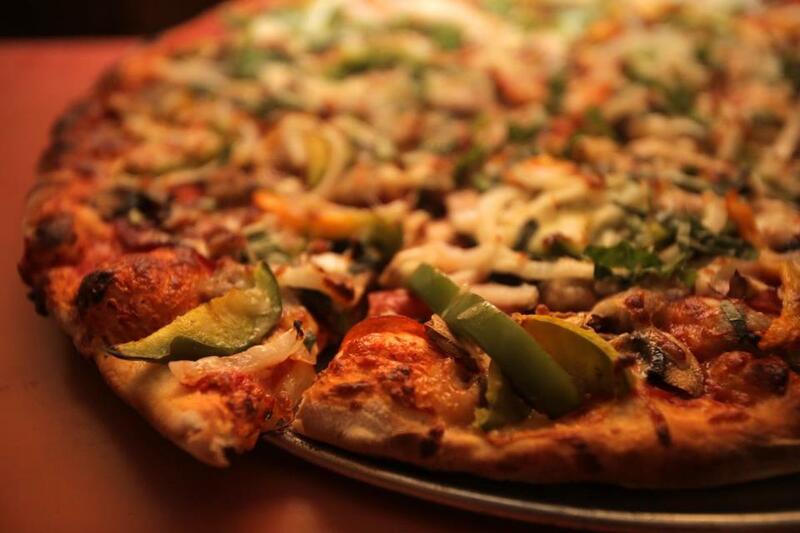 It’s impossible to assemble a list of exemplary North End restaurants without including Pizzeria Regina. Yes, it’s expanded quite a bit, and you might now find one of their brick-oven slices at the mall. But the Thacher Street storefront, complete with welcoming neon signage like something out of an Edward Hopper portrait, still stands. And good thing: The slightly sooty, drooping crust, the vaguely sweet sauce, that glorious pool of savory oil atop the melted cheese — this is the pizza every native Bostonian grew up on. Some landmarks are built to last, and this is one. Make Sure to Try: The Napoletana, topped with anchovies, capers, and garlic, is a perfectly salty treat. Just don’t smooch anyone afterward. Prezza in the North End. 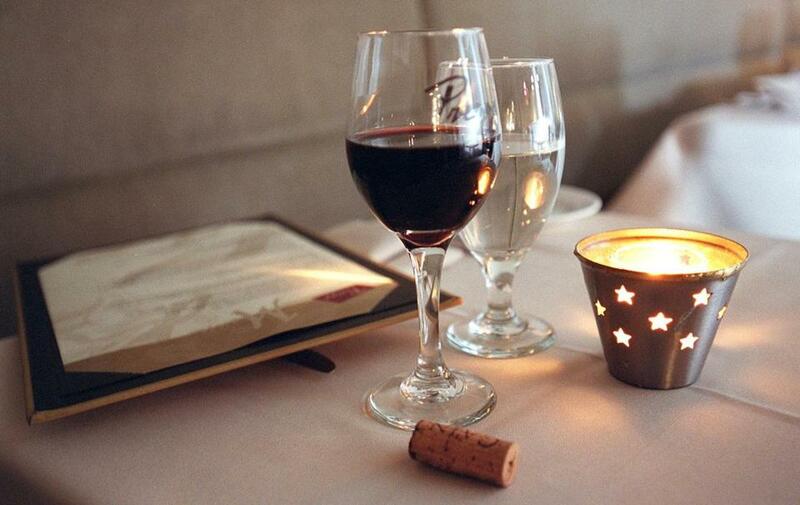 With its white tablecloths, comfy booths, and widely spaced tables, this is a top bet for a romantic North End night. Fans appreciate the vast wine list and rhapsodize about chef Anthony Caturano’s wood-grilled dishes, like the venison, as well as other seasonal specialties like delicate chestnut or corn raviolini, offered as appetizer or entree portions. Make Sure to Try: There are two sleeper hits here: homemade meatballs, sausage, and ribs over polenta, plus an earthy breaded pork chop with vinegar peppers, potatoes, and roasted red onions — a menu staple since Prezza opened in 2000. Italian and . . . Peruvian? The combination works at this lovely restaurant at Hanover Street’s gateway, thanks to chef Jose Duarte, who cooks dishes unlike any other in the neighborhood — macadamia-encrusted salmon with Peruvian asparagus and blood orange sauce; pork chops dappled with a sugar cane and rocoto pepper glaze. 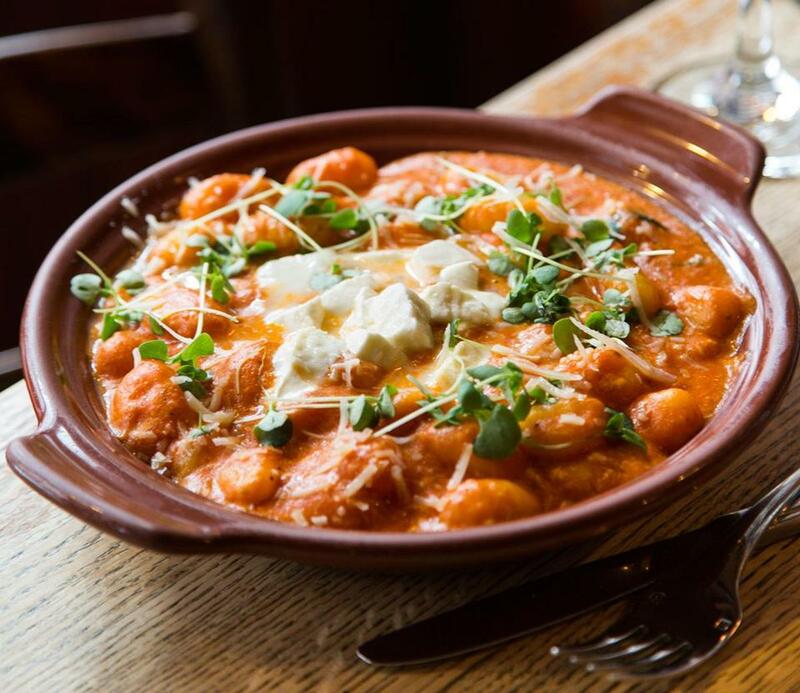 Make Sure to Try: Nothing showcases the flavors of both countries quite like cassava root gnocchi, made with yucca flour and topped with spicy green lamb ragu and shaved Parmesan. Baked gnocchi in tomato sauce at Trattoria Il Panino. This Hanover Street staple, which turns 30 this year, expanded into the old Pompeii restaurant last year and upgraded to 250 seats — making it that much easier to snag a table. But some things never change: The casual spot (also from Frank DePasquale) is friendly and unpretentious, and it still serves all the red-sauce classics. Other bonuses: fresh bread from sister establishment Bricco Panetteria and a kitchen that’s open until 2 a.m.
Make Sure to Try: One signature dish is a rich baked gnocchi in tomato sauce, soothing as a warm blanket on a chilly winter’s night. This slightly upscale, spacious sibling of Monica’s Mercato — there’s a smaller, easygoing trattoria, too — is hard to miss, thanks to its cherry-red exterior. So don’t: It’s popular with date-nighters for its long wine list and cult-hit dishes. Fans love the beef carpaccio with horseradish aioli (described as “bonkers” by one wistful former neighbor). Pastas and breads are crafted in-house and doled out by friendly servers. Make Sure to Try: Regulars swear by the free-form lasagna, layered with chicken instead of beef ragout. Kara Baskin is a frequent contributor to the Globe Magazine. Send comments to magazine@globe.com. Follow us on Twitter at @BostonGlobeMag.